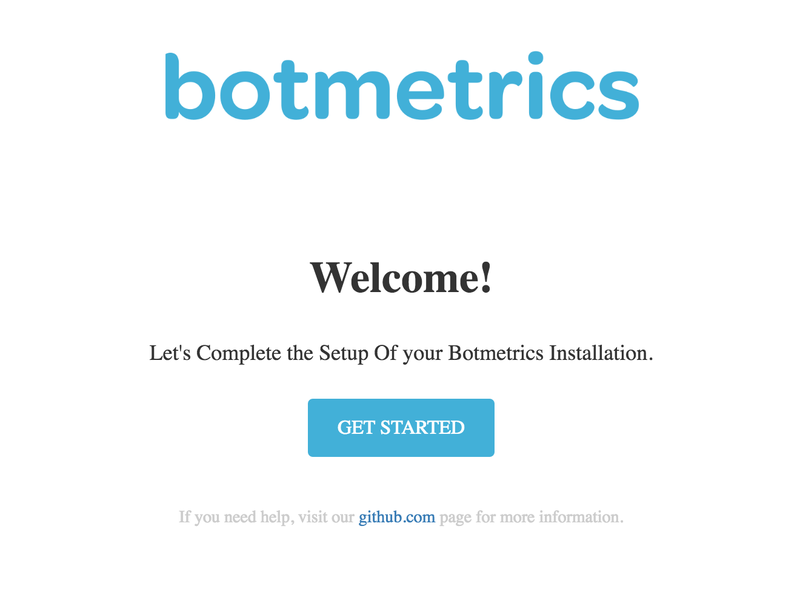 Botmetrics is an open source package and a hosted service for measuring and growing Facebook Messenger, Kik, Slack and in-app messaging bots. Analytics for web and mobile rely on events to deliver insights. For chat bots, on the other hand, insights comes from analyzing the content of conversations. 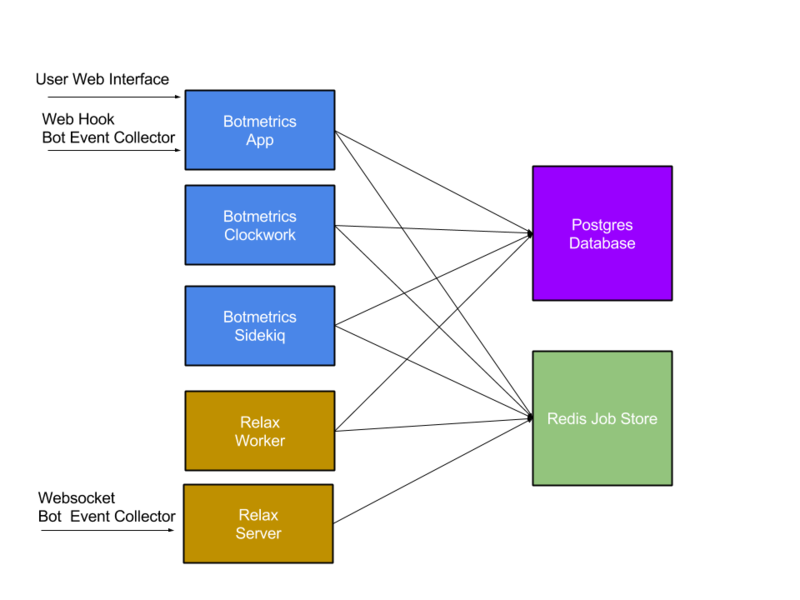 Botmetrics accomplishes this with several services—collectors, workers, and a web app for interfacing with the user. These need to be setup separately and configured to work in concert. Convox makes it almost trivial to bring up this mix of Go and Ruby services in a coordinated and scalable way. We’re going to assume that you already have a Rack set up and the Convox CLI installed. If not, follow The Convox Getting Started Guide to set up your laptop and cloud environment. We will use the RDS Postgres and ElastiCache Redis services from Amazon which allow us to scale as needed with minimal effort. Next, we need to set the environment variables for Redis and Postgres so that web and worker services can access the databases we just provisioned. Run convox apps info to get the status of your app and once it is running, you can proceed to migrate your database. Browse to the URL and start collecting data from your bots! 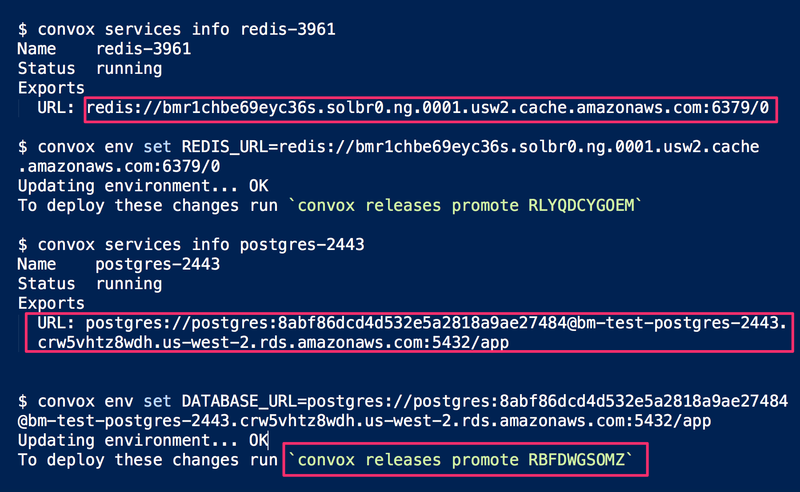 When future updates of Botmetrics land, you can git pull the latest version from GitHub and run convox deploy to deploy the changes to your private infrastructure. If you want to talk bots, analytics or have questions we’re available @getbotmetrics on Twitter or by email: hello@getbotmetrics.com.